Join us on Saturday, October 27th, from 7:30 to 10:30am for our Sea Witch Breakfast! There’s a lot happening at The Pond this week. A new menu, Sea Witch, our Halloween Party and The Philadephia Eagles in London! Oh, and both Mama’s Black Sheep and Sweet Leda are performing this weekend!!! Our NEW fall menu will be launched on Thursday, October 25th. We are excited to be bringing back Steamed Shrimp and adding a Beer-braised Short Rib Stroganoff entree. And, we have re-arranged the menu so that there are different options for Happy Hour (when Pond Favorites are half-price). 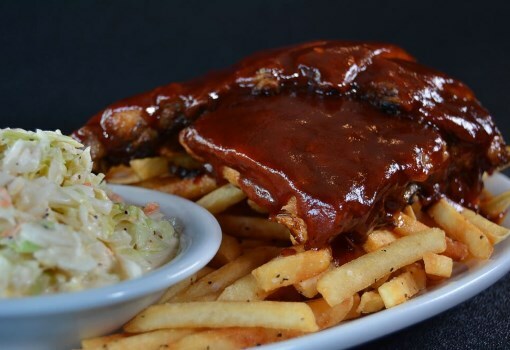 Of course, if your favorite item isn’t on the menu, ask your server or bartender and if the kitchen has the ingredients, we gladly we will make it for you! This upcoming weekend is Sea Witch! Always a fun event. 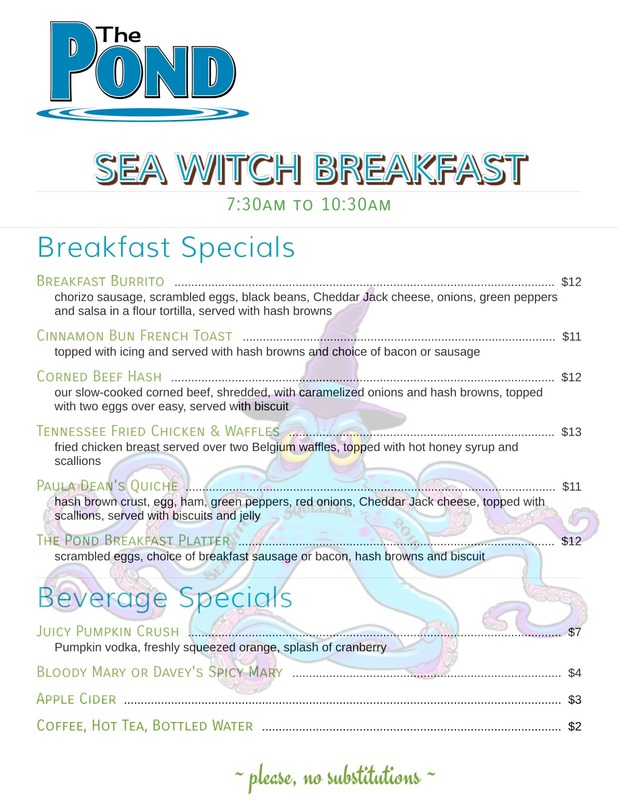 The Pond will be opening at 7:30am for breakfast on Sea Witch Saturday, October 27th with a new Sea Witch Breakfast Menu. And, there will be a special Sea Witch Lunch Menu until 5pm. Click on the highlighted links to see the menus! The theme this year for our Halloween Party Saturday Night is STUDIO 54. And our Halloween Party wouldn’t be our party without SWEET LEDA! Walk our red carpet when you arrive from the 70’s or as a celebrity guest to THE POND STUDIO 54! On Sunday, we open at 9am for the Eagles game in London! 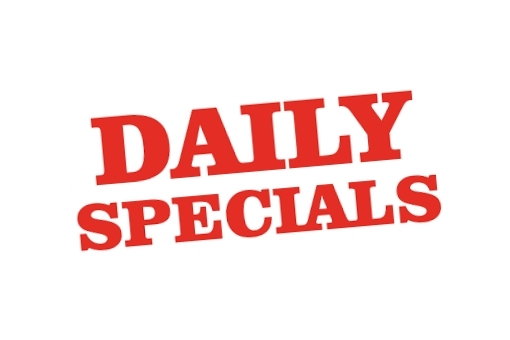 Our regular menu will be available, along with our NFL specials. 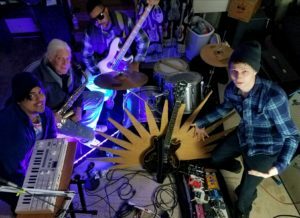 We have a new band performing at The Pond this weekend, Native Trio! Check them out on Friday, October 19 at 10pm! Thursdays at 6:30pm ~ Let’s Do Trivia! Rehoboth Jazz Fest At The Pond! As always, The Pond has a great line-up of entertainment for Rehoboth Beach Jazz Fest! 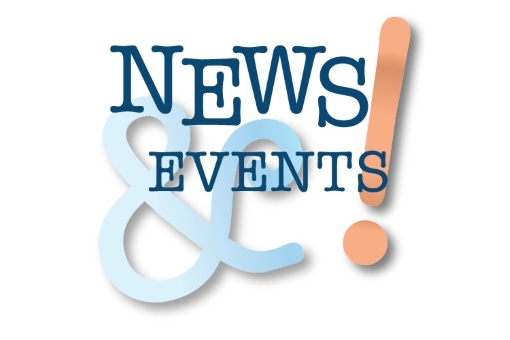 This Week at The Pond, October 7 to October 14 – JAZZ FEST! October is one of our favorite months of the year and the Rehoboth Beach Jazz Fest is one reason why! 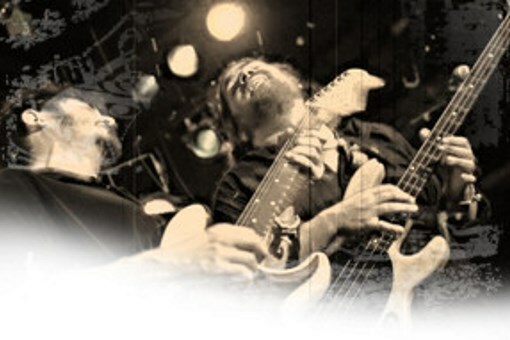 We have your favorites here this weekend, Tear The Roof Off, Octavia Blues Band, No Byscuyts and The Divas of One Love. On Saturday at 10pm, we switch it up a bit with Electric Velvet! And Lower Case Blues is in the house every Sunday at 10pm! 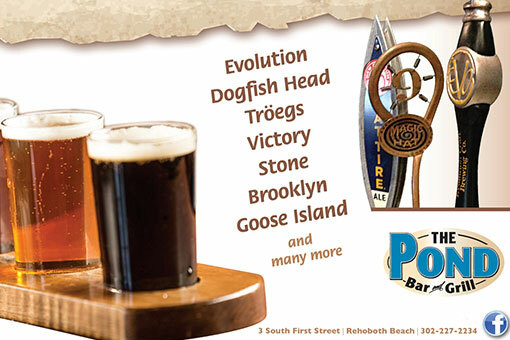 This upcoming weekend is the Rehoboth Beach Sidewalk Sale and The Pond Store will have some great sales on our ReBeer glassware, beach stuff and more! So make sure you stop by our store while you’re visiting The Pond! We also welcome The Rehoboth Beach Bears to FURst Friday, 6pm to 9pm! We kicked off our Thursday Trivia Challenge with a full house! Stop by and play some Trivia with us! The Pond’s Thursday Trivia Challenge begins on Thursday, September 20th at 7pm. We look forward to another fun season with all our teams! 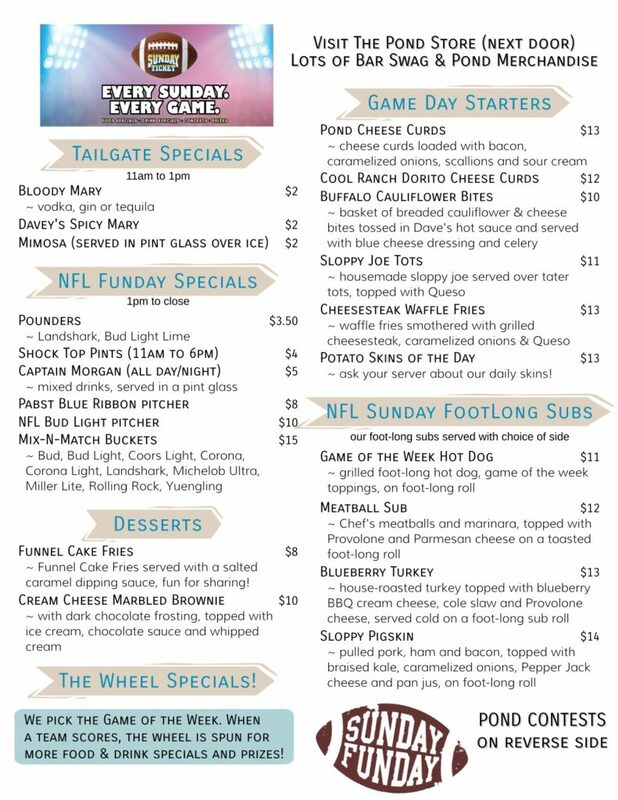 We kick off the 2018 NFL Season with an awesome menu and plenty of contests for you! So even when your favorite team isn’t playing (or if you don’t like football, say what?) there’s still plenty of Sunday Funday here at The Pond.